Pueraria mirifica Airy Shaw & Suvatabandhu is an indigenous herb of Thailand, known in Thai as “Kwao Kreu” or “Kwao Kreu Kao” (While Kwao Kreu). It belongs to the Leguminosae sub-family Papilonoideae or the soy bean and pea family. It is a big climber tuberous plant. Its branchlets are composed of three leaflets. The leaves have glossy appearance with purplish blue flowers. The pods are flat and the plant can be propagated by seeds. The skin of the tuber root is brownish white with white flesh. Its habitat is in rain forests at high altitudes in the northern part of Thailand, especially at the famous and holy Doi Suthep mountain of Chiang Mai Province. Active ingredients in this plant are found in the tuberous root. It looks like a chain of round-shaped bulbs of various sizes connected to the next one via small root throughout the entire length of the root. The shape and size of the tuberous root are diverse depending on the environment in which it exists. 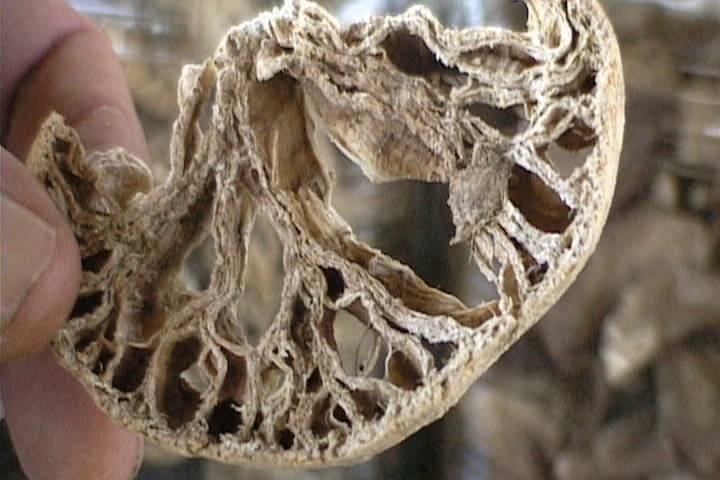 Picture below shows the actual dried root. However, the authenticity of Pueraria mirifica can be clearly verified from the distinct characteristics of the stamen of flower and its hairy pod. The compounds that make Pueraria mirifica different from any other phytoestrogen-containing plants in the Family Leguminosae are MIROESTROL and DEOXYMIROESTROL. Miroestrol is an isoflavonoid compound which has the chemical structure similar to female estrogenic hormones, ESTRADIOL. The isolation and identification of deoxymiroestrol from the root of Pueraria mirifica has been reported in the February 2000 issue of the Journal of Natural Products. The authors proposed that since deoxymiroestrol is easily oxidized to miroestrol, deoxigmiroestrol is more likely to be the actual chemical constituent of Pueraria mirifica. Nevertheless, it is likely that the two phytoestrogens coexist in the root. Figure below shows the structures of miroestrol and deoxymiroestrol which are similar to the structure of estradiol. Other compounds found in Pueraria mirifica that belong to isoflavone and coumestran groups of phytoestrogens are Genistein, Daidzein, Daidzin, Genistin and Coumestrol. Table below summarized the key actives in Pueraria mirifica. 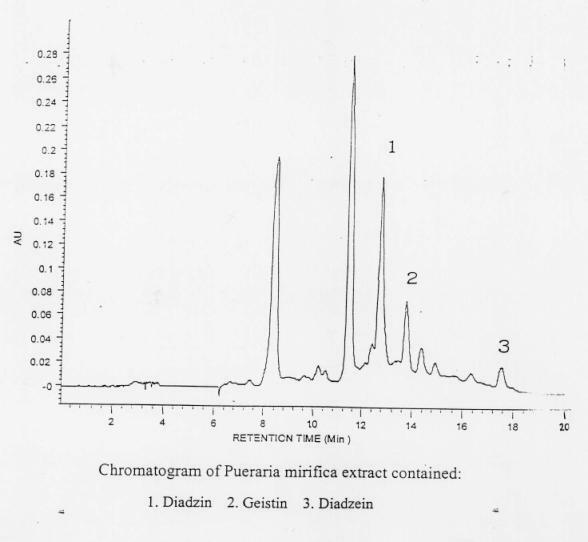 Chromatogram of Pueraria Mirifica is shown on the next page. Chemical structures of the other important actives are shown as below. Toxicity study of Pueraria mirifica has recently been conducted in male and female Wislar rats by the Medicinal Plant Research Institute, Department of Medical Sciences, Ministry of Public Health and by the Department of Biology, Faculty of Science, Chulalongkorn University. The animals were given the suspension of root powder in water orally at the dose range between 10-1000 milligrams per kilogram of body weight per day continuously for a period of ninety days. From the animal toxicity study, no estrogenic effect was observed at the doses of 10/mg/kg/day. The histopathological studies and biochemical data at different dose levels in rats of both sexes suggested that the maximum tolerated dose in rats would be around 100 mg/kg/day. When consider the uncertainty factor for the difference in the species and sensitivity among individuals, it is concluded that the safe dosage of Pueraria mirifica as a dietary supplement for human should be about 50-100 mg/day. With regard to the safety and efficacy of dermal preparations of Pueraria mirifica extract, standard dermal toxicity tests were performed in various animal species as well as in humans, and no toxicity was observed. Moreover, the efficacy of breast cream was recently evaluated in a large group of human volunteers. 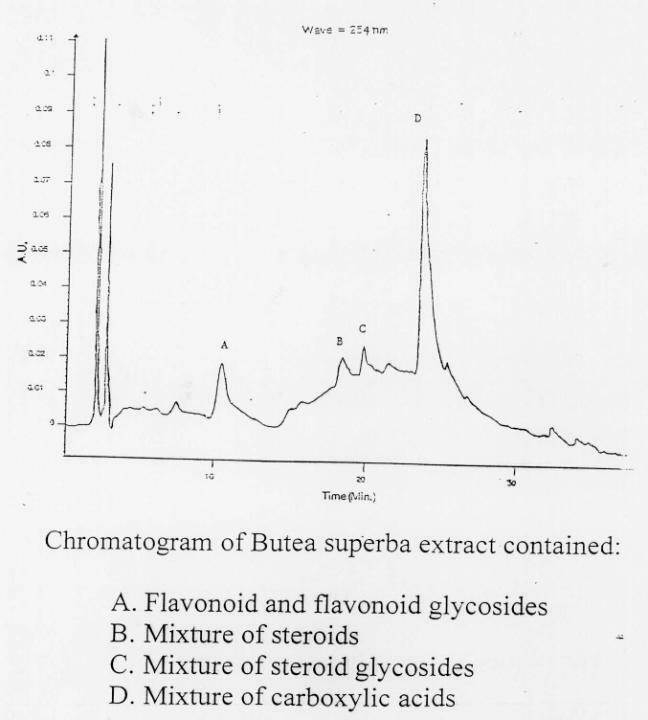 Genistein, another type of polyphenol compound found in [Pueraria mirifica, Butea superb, and] soy prevented the spread of cells and inhibited the growth of the primary tumor in mice while resveratrol, found in wine and grapes, caused apoptosis in laboratory-grown cells, according to the report. International Journal of Cancer 2002:98;761-769. 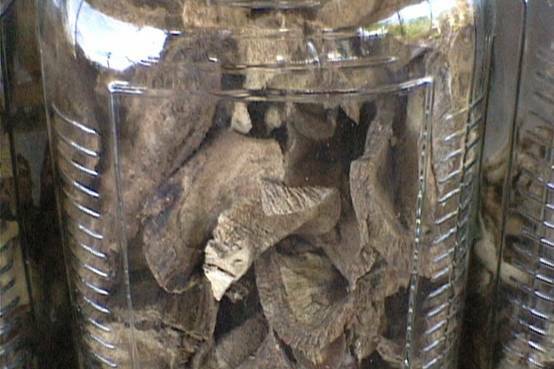 Pueraria mirifica has long been traditionally prepared in the form of pills for oral intakes. Currently, the dried roots are finely ground, sometimes mixed with other medicinal herbs, packed in capsules and marketed as a dietary supplement; however, for some distributors, the capsules are prepared from the root extract. The formulation that includes ingredient list and content of each ingredient varies from one supplier to another. Pueraria mirifica in the form of extract has been introduced just recently. With modern extraction technology, the extract from dried roots is standardized and prepared in the form of powder and solution. The extract solution is used in cosmetic industry such as preparation of breast cream, eye gel, and skin moisturizer. The extract powder is used as a dietary supplement similarly to the traditional method, but the product has more uniformity due to the advantage of standardization. When Pueraria mirifica is taken as a dietary supplement, its phytoestrogen constituents will naturally alleviate symptoms occurring as a result of the aging process and a deficiency in estrogen levels, e.g. sagging breasts, wrinkled skin, bone loss, gray hair, etc. These aging signs and symptoms will, to a certain extent, be reversed. 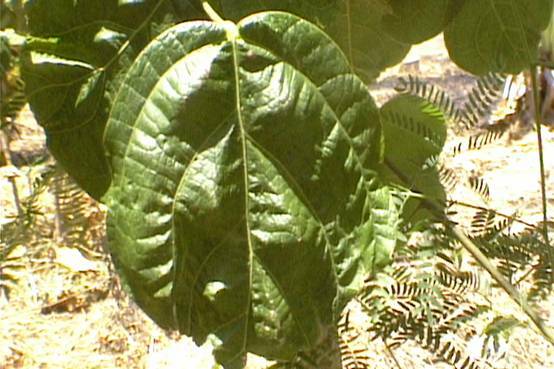 A related species to Pueraria mirifica, Butea superba is called locally “Kwao Kreu Dang” or Red Kwao Kreu. Its name comes from the red sap which comes from the long tuberous root. 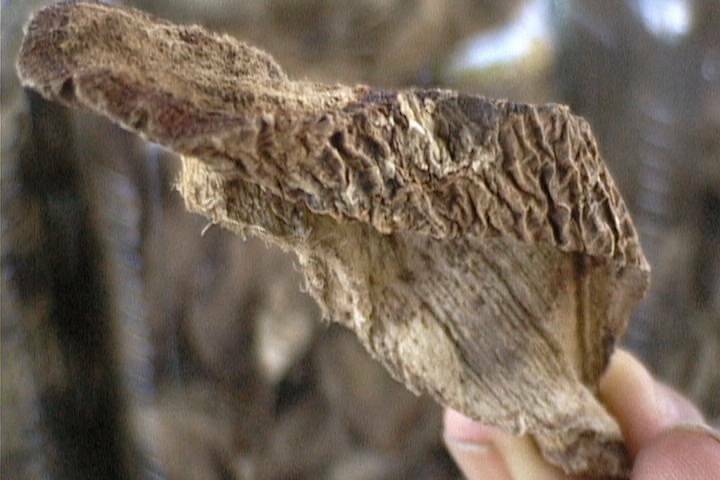 Picture below shows the actual dried root. According to Thai traditional medicine, the rejuvenating power of the tuber of Butea superba is more potent than that of Pueraria mirifica. Local Thai people in their middle age and over use this herb to regain physical and mental strength. They are available in the form of dietary supplement and topical uses including gels and creams. © Siam Industries International Co. Ltd.